Poplars (Populus sp) belong to the same family as the willows (Saliaceae), and, like willows, they tend to have a preference for wet soils / locations. Poplars produce tiny seeds that have silky hairs which help carry them on the wind for dispersal. There are a number of species – western balsam poplar, white, grey and black poplar –though, common is the Lombardy Poplar. The later is a variant of the Black Poplar and is probably the most instantly recognizable – due to the habit of the branches growing almost parallel to the main stem, giving a tall, thin tree (fastigiate form). 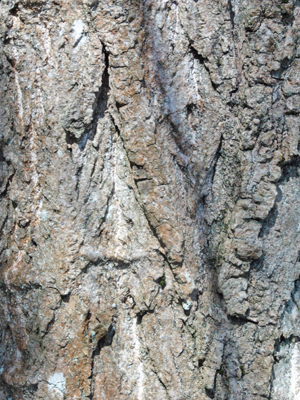 How rugged is the bark? Do the shoots along the stem rise or droop? Are the leaf stalks (petioles) hairy or do they have glands present? The leaves of black poplar (Populus nigra) are arranged on the stems in an alternate fashion.. The leaf has a long slender leaf stalk (petiole) – which is slightly flattened. The leaf shape is sometimes described as ‘triangular’ or ‘diamond shaped’. The leaves may be 3 inches in length. Usually the leaf is longer than it is wide. When first formed the leaves may have a bronze tinge. The leaf margin is toothed (see image below) and may be ‘translucent’ when young. 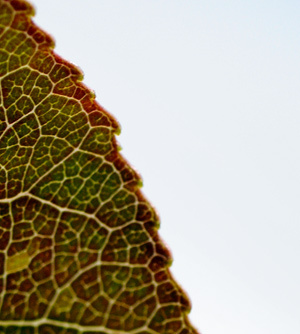 When first formed, young shoots, leaves and stalks have fine, tiny hairs. 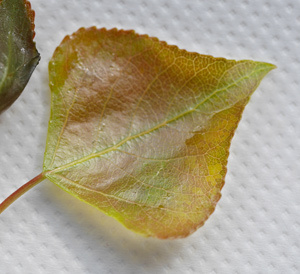 The upper surface of the leaf is a dark green, whereas the lower surface is not such a deep green. In autumn, the leaves may turn a vibrant 'banana' yellow. The leaves of the Lombardy Poplar (jpg above) tend to be as broad as they are long – if not broader; and the leaves are hairless. The leaves of the western balsam poplar release a sweet smell, and a sticky balsam is produced. The bark of the Black Poplar is grey / brown, and the main stem (bole) often bears many burrs / tuberous growths as the tree ages. The bark may become deeply fissured. The tree may grow to a height of 100 feet, but is usually smaller than this. The hybrid form P. nigra ssp betulifera is faster growing and large. The Lombardy Poplar has a different growth habit - having a tall, narrow shape - which adds style or grandeur to an area (may be planted as a screen). The base of the stem may be 'fluted'. 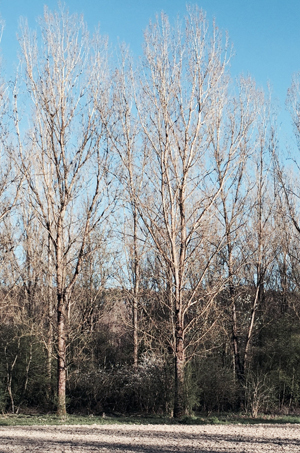 Poplars grow well in industrialised areas and seem to tolerant pollution well. The black poplar was once much planted in the North - hence the name the "Manchester Poplar" has sometimes been applied. The stems are sometimes home to the wood leopard moth. Catkins are produced – male, long (up to 4 inches) with red anthers, female catkins are green but on separate trees. The catkins appear before the leaves. Most Lombardy Poplars are male trees and hence only red / crimson male catkins are produced.